Liverpool manager Jurgen Klopp does not think a place in the semi-finals of the Champions League is a foregone conclusion for his side. The Reds beat Porto 2-0 at Anfield in last week's quarter-final first leg tie and it is widely anticipated that they will finish the job off in Portugal on Wednesday. However, Klopp has sounded a note of caution, saying: "We go to Porto now, which will be a tough one. "We know that they get at least two players back, Pepe and (Hector) Herrera, so they will be an interesting and difficult challenge. Then we play Cardiff and everybody knows that is a tough place to go." Liverpool, 11.00 to beat Porto 2-0 in Wednesday's second leg, remain at the top of the Premier League table after beating Chelsea 2-0 on Sunday. Klopp understands that his side may have to win all four of their remaining league games to have any chance of clinching the title as second-placed Manchester City are showing no signs of wilting. The current odds have Liverpool at 2.10 to win the Premier League title this season and City at 1.72. 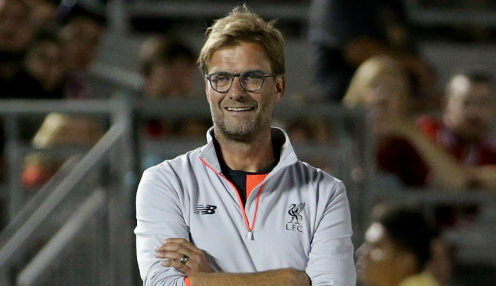 Klopp added: "We only try to collect as many points as possible. What is it now, 85? Four games to play. 97 (possible). Let's try. "And if that's enough, then perfect. If not, we cannot change it. And we didn't lose it here or there or whatever." Liverpool beat Chelsea thanks to Sadio Mane's header and a brilliant strike from Mo Salah.